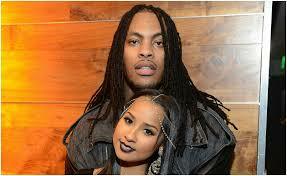 Waka Flocka & Tammy Rivera Getting A Divorce? - Ooooooo La La! Waka Flocka & Tammy Rivera Getting A Divorce? Love & Hip Hop Atlanta star Tammy Rivera fired off some subliminal Instagram messages which seems like she's getting a divorce from her husband (or soon to be ex), rapper Waka Flocka. After someone left a comment about how lucky the rapper is, Tammy responded to the comment and made sure to correct her fan and let them know that Waka WAS lucky. Oop! The couple just celebrated their second wedding anniversary earlier this year. But, this isn’t the first time they split up as cheating rumors spread around before. Maybe Tammy realizes her worth and will finally throw up the deuces for good.